oxygen mark in chennai Oxygen therapy is the administration of Oxygen at a concentration greater than ambient air with the intent of preventing/treating hypoxia. 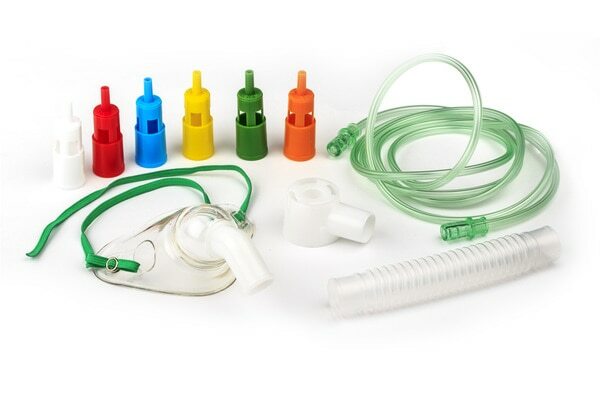 Oxygen Mask Vinjoh Oxygen Mask is made of high quality medical grade I Non-Toxic PVC and can be provided with fixed or variable oxygen concentration with adjustable nose clip. The nose clip allows a perfect adaptation to the patient. Our Mask is adjustable very transparent and soft which helps the patient to be more comfortable and relaxed.